During the summer, you might use four times the amount of water we use during other months. 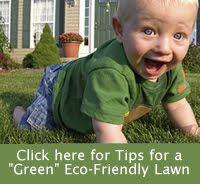 Your water bill likely reflects the demand for the extra water you need for your lawn and garden. There’s an inexpensive way to capture the free rainwater for when you need it most -- during periods of drought -- to water your lawn and garden. You can cut your water bill by installing a rain barrel in your yard. It’s a consistent supply of clean and free water for outdoor use. Rain barrels can be purchased at your local hardware or garden supply store. Better yet, many local government programs offer them at reduced prices. For more information read, The Rain Barrel Response.